May is Speech and Hearing Awareness Month. Attend "Do You Hear What I Hear?" 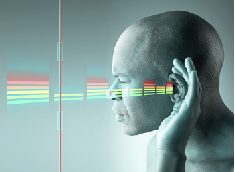 to learn about hearing and how to protect it. We also invite you to join us for a look at the most popular social media platforms and advice on their use in the workplace and to learn more about stress management and healthy workplaces. For more information on the May Lunch & Learn sessions, please see the Human Resource Services, OHE May 2016 Lunch & Learn Bulletin and visit The Learning Shop to register.